stories, drawings and even a mail order page! 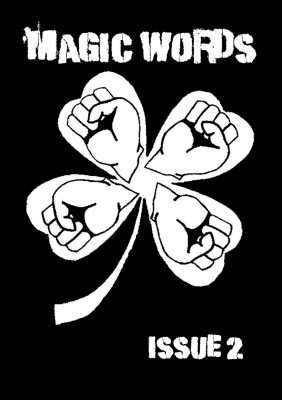 Writers for Issue 01 include David Montanye, Scott Smith, Mark Needham, Hyde Keebler and many more! Records put on in 2014! Includes clips from Dirty Street Kids,Mobil-Mockingbird, Surly Dylan Suttles, Demmier & Nico and more! 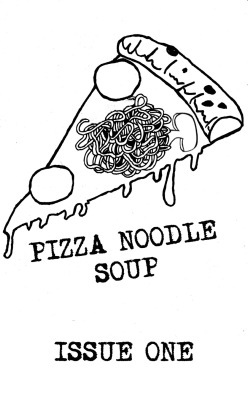 Pizza Noodle Soup is a zine written by David Montanye, Issue 01 tells of his week long journey in Ithaca Ny with the Ithacunts. 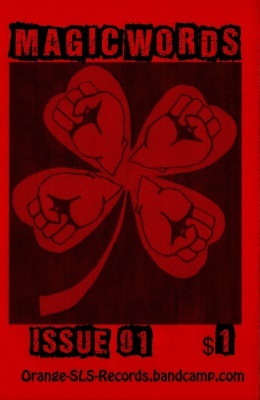 From shows to protests its all right here! 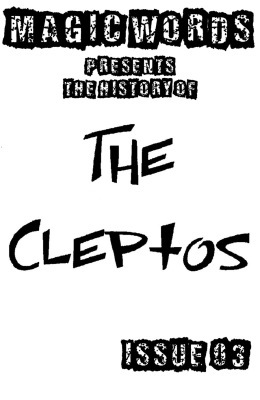 Magic Words Issue 03 is a massive 40 page zine dedicated to The Cleptos! Issue 02 of Pizza Noodle Soup includes song parodies, comics, drawings, album reviews and more from David Montanye, scotty shoes, dave jones, james schaffer & more! 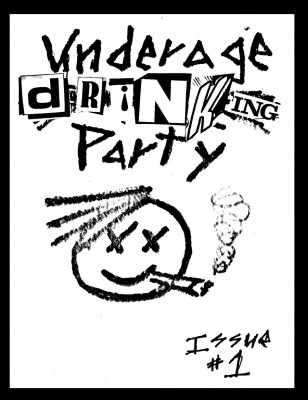 Issue 01 of Underage Drinking Party is a 26 page punk zine by Dave Jones & Sam Bass! 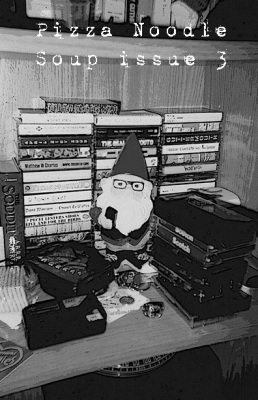 Issue 03 of Pizza Noodle Soup includes Cd reviews, memories of Plan-it-x records, random ramblings and Dave Montanye's attempt at creating a creepy pasta tale.